NEW DELHI/HYDERABAD/BENGALURU (PTI): Technologies that will help in sending an Indian astronaut to space by 2022, as announced by Prime Minister Narendra Modi during his Independence Day address on Wednesday have already been completed, ISRO Chairman K Sivan said. The Indian Space Research Organisation (ISRO) was not venturing into an unknown zone and had already developed critical technologies, he said. "It is possible to meet the deadline set by Prime Minister. It is not unrealistically scheduled. We have already developed critical technologies, on which we started work at least a decade ago," he told reporters in Bengaluru. Earlier, Sivan told PTI: "We have already done development of crew module, crew escape, environment control, life-support system and space suite, as also GSLV-Mark III (the rocket to be used for the mission)." Prior to the actual launch, the ISRO will have two unmanned missions and the spacecraft will be fired using Geosynchronous Satellite Launch Vehicle (GSLV) Mark-III, he said. The ISRO chief's remarks came after Prime Minister Narendra Modi announced in his Independence Day address that India would attempt a manned mission into space by 2022 on board 'Gaganyaan'. "It's an excellent gift given by the prime minister to the nation," an elated Sivan said. This human space flight venture, he said, would take the country's science and technology field to a very high level, inspire the younger generation, and "every Indian can be proud of it". Asserting that the expense of the project would not be much as most of the technologies have already been developed, the ISRO chairman estimated that it would cost less than Rs 10,000 crore and the spacecraft module would weigh around four-five tons. On how ISRO is going to select the astronaut for the mission, he said, "We need to discuss. Three people can travel. Now all the process will start." It is a national project where multiple organisations, academia, and industry would be involved to accomplish the mission. It would demonstrate that India would be on par with the developed countries in this area. It would enhance the national prestige, the ISRO chief said. "That way, it's a great announcement. It's a great challenge to ISRO to achieve the mission within the time-frame (by 2022). Still we can achieve," he said, adding that around 60-70 per cent of the work had already been completed. What remained to be done are setting up some facilities and infrastructure, including control centre, work on instrumentation and launch pad modifications, which are not a difficult job, he added. Replying to a question, he said the Prime Minister would have made an assessment that it was the right time for India to send its astronaut to space. He also said the space agency had spent Rs 200 to Rs 300 crore for developing the critical technologies which would be put to use to launch Gaganyaan. On concerns raised over GSLV Mark III, the ISRO chief said the agency was confident of success as by the time the human in space programme takes off, some 10-15 vehicles would have already been flown. Sivan said the Gaganyaan project report would be submitted to the government in next one or two months. The project would enhance the science and technology standards in India and create many spinoff technologies and applications, which would used for domestic purposes, he said. Sivan said around 15,000 jobs would be created under the human space mission. ISRO would work with various government and private agencies, including the Institute of Aerospace Medicine, Navy and start-ups, for the success of the project. Meanwhile, former ISRO chairman K Radhakrishnan, under whose leadership the Mars Orbiter Mission (Mangalyaan) was launched in 2013, termed the announcement of the Gaganyaan mission a "turning point" for ISRO. If successful, India would be the fourth nation to achieve that feat. Rakesh Sharma, a former IAF pilot, was the first Indian to travel to space. Sharma was a part of the Soviet Union's Soyuz T-11 expedition, launched on April 2, 1984, as part of the Intercosmos programme. Chawla was one of the seven crew members who had died in the explosion of the Space Shuttle Columbia, during its re-entry into the Earth's atmosphere in 2003. In December 2014, Modi had announced that India would launch SAARC satellite as a "gift" to its neighbours. 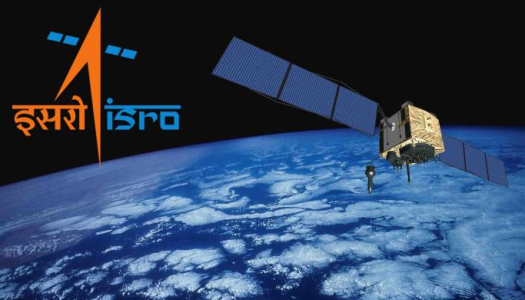 The satellite, later rechristened South Asian satellite, was launched in May last year. ISRO is known for its space programme and projects that matter to the day-day lives of people. However of late, it has launched missions like Chandrayaan-1 (moon mission) and Mangalyaan that had aroused tremendous interest among people. It will launch Chandrayaan-2, which will land a rover on the moon, next year.